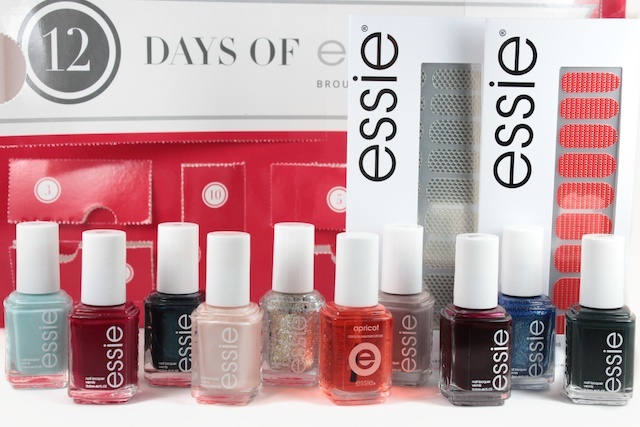 The holidays are over, but I definitely had a blast opening up this 12 Days of Essie calendar ($68) from Loose Button*! It's a little different from last year's Advent calendar, but still super fun! I adore advent calendars (and Essie polishes) -- it's a little surprise everyday to get you into the holiday spirit. If you follow me on Instagram (or Twitter) then you've already seen these polishes because I tried to snap a photo every day. 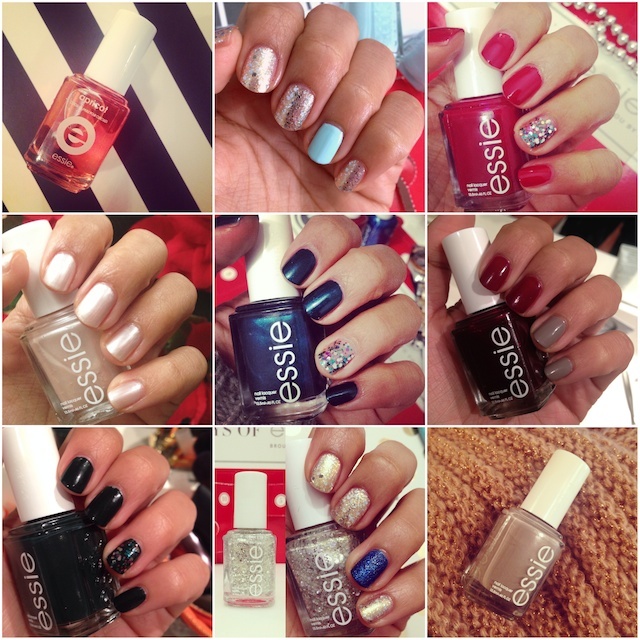 I loved all the polishes, but there were a few that stood out as favourites. Mint Candy Apple is one of my all-time Essie favourites. The two polishes from the new "Encrusted" collection, Hors d'Oeuvres (gold microglitter with chunky silver glitter) and Lots of Lux (blue and silver microglitter with a gritty matte finish), are stunning beauties. Stylenomics is a pretty deep green colour that looks so much better on than in the bottle. Miss Fancy Pants is a simple greige shade that works for any occasion. 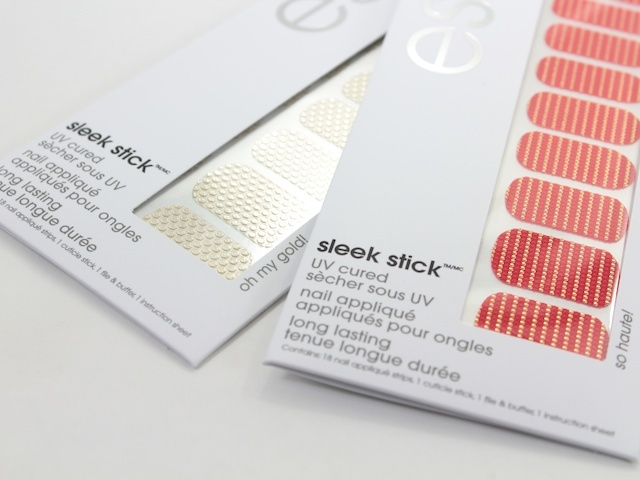 Also loving the Apricot Cuticle Oil! It was much-needed after 12 days of consecutive polish changes. Ps, hope you all had a wonderful Christmas! this set is pretty worth it for the price and there's a good range of colors here. i'm also glad they through in the cuticle oil. usually i only buy colors and regret not getting the basics like a good topcoat or base.